As my usual, I had to have some unfortunate dental work a couple of weeks ago. Pulled a couple of teeth and replaced 3 crowns (two of which were just done in October...sigh) which was really as much fun as it sounds. Maybe someday we'll get to stay in the vacation house that we have surely bought for our dentist with the amount of money we have spent on my dental work in the last 10 years. Another sigh. The next day, we got news that my grandmother has passed away. She has had Alzheimer's for the last 10 years and had declined significantly in the last six months so it was not unexpected. And yet, I don't think you can ever be truly "prepared" to lose someone. You might think you are. But you're not. As expected, I was sad, but I really wanted to keep it as non-upsetting for my kids as possible. We talked about how even though we were sad, Great Grandma was happy because now she can talk and walk and be herself again and see all the friends and family who had passed on before her. I think the thing that struck me as the most surprising was how I handled it all. I have now learned that when I am under large amounts of stress, I become very distracted and flaky. 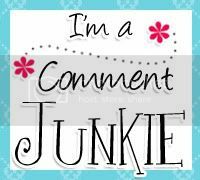 Even more distracted and flaky than I usually am. Which would explain why Babs got to have jelly beans for lunch and why I almost had a heart attack when I realized that I had to make dinner. I'm pretty sure that moment took years off my life. In reading the timeline that my mom wrote about my grandmother's life, I learned a lot....she was a city girl but loved the country life, she loved gardening and flowers and started painting later in her life. I was not very close to my grandmother, but I think I probably would have had a lot in common with the woman I read about. I think that is what made me the saddest. Her funeral was on the first day of our Spring break. We had planned to go to St. George for the week but it just didn't seem like the right time for so many reasons. So we opted for a staycation and I'm so glad we did. We spent a lot of time as a family doing lots of fun activities without all the stress of packing, driving, unpacking, hiking, packing, driving, unpacking and then laundry. Babs spring break was the previous week so she still went to preschool on her usual days, then we would head out for some serious fun after picking her up. We went to explore the new City Creek shopping center in Salt Lake City, went to see The Lorax (my most favorite Dr. Seuss book ever!) and even took the family bowling for the first time. I really should share the video of Babs bowling. It's priceless. Then we finished up the week with picking up a few essential oils and supplies (I'm addicted) and Easter celebrations. Unfortunately, today was the official back to school and work day. I prefer spring break. And it's quite possible that I'm already counting down to summer. Oh, I'm so sorry about your Grandmother. I know how that goes. My Grandfather had alzheimers. It was time for him to pass, but sad too. That picture of your grandparents is amazing! What a treasure to have it. P.S. We need to brainstorm gardening! That is such a cute picture of your grandparents! You look so much like her! 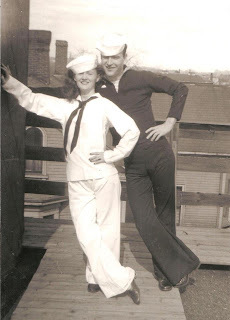 so sorry about your grandmother, that's such a crazy cute pic of them in sailor gear! I'm sorry to hear about your Grandmother. I was laughing about you feeling your child candy for lunch. That will be a everyday thing with me if I ever have kids. I need to come see your house and be in your land for a day!! !